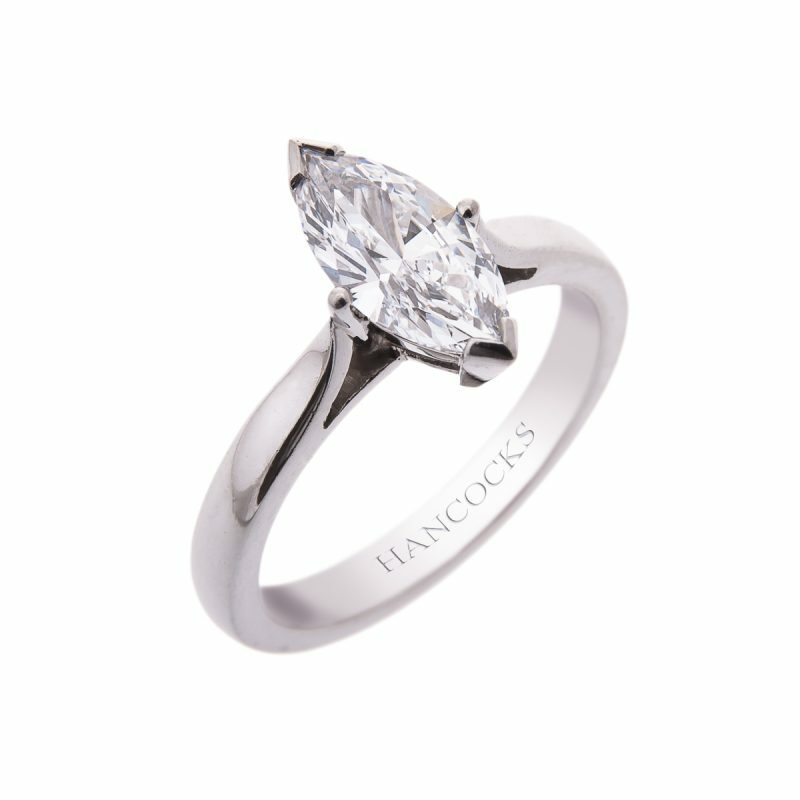 A marquise cut, GIA certificated diamond solitaire ring mounted in a classic V-claw setting hand crafted in the finest platinum. 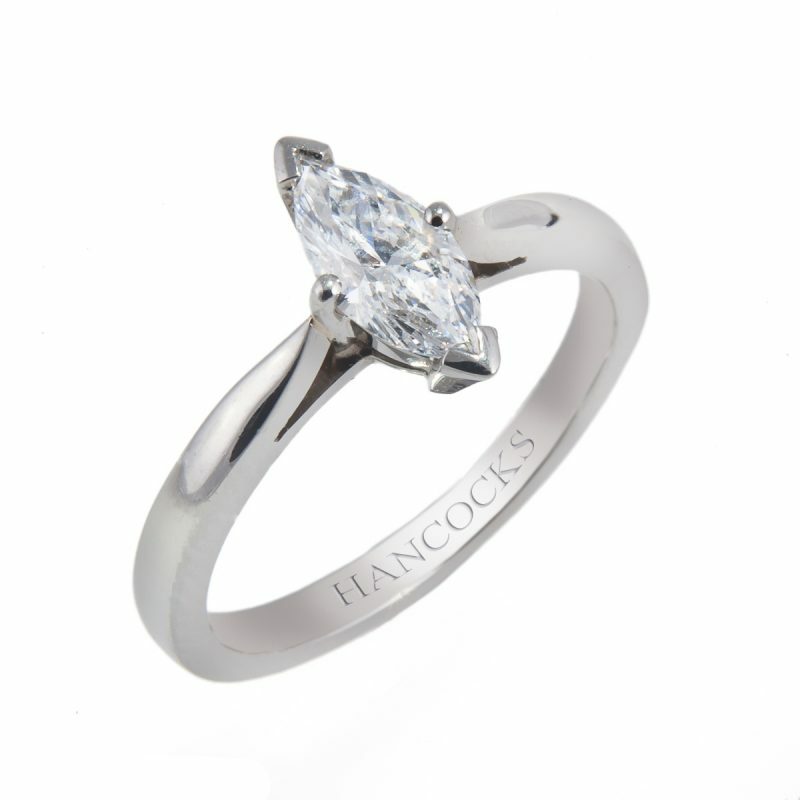 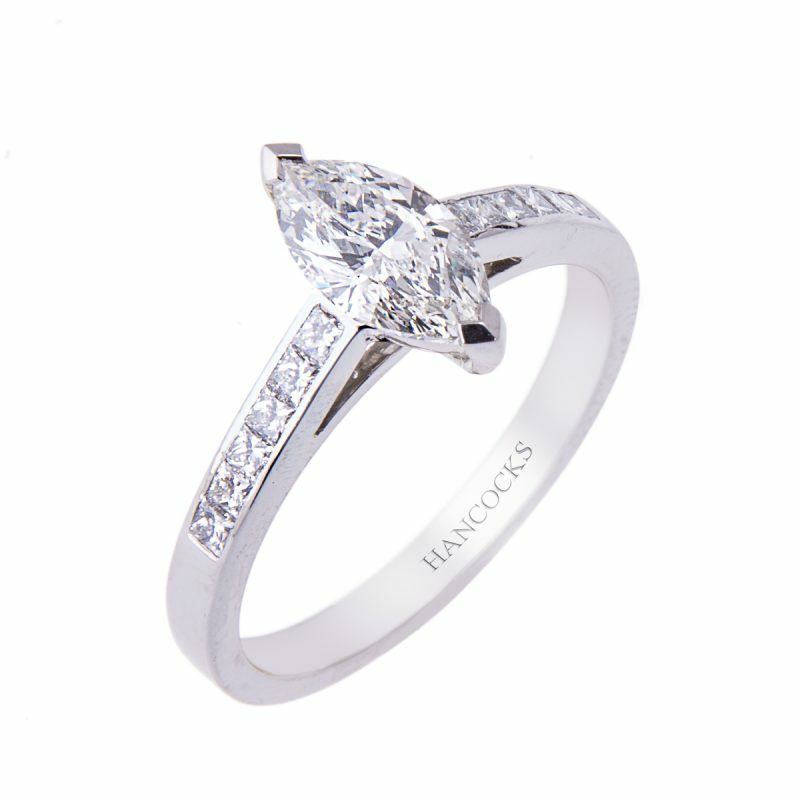 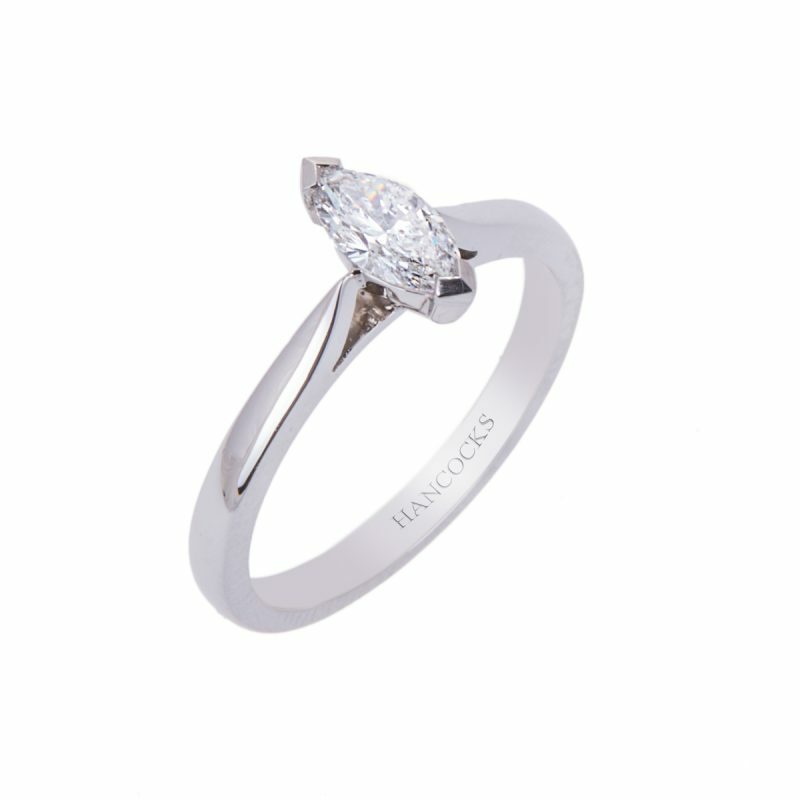 Our peerlessly beautiful diamond engagement ring evokes a very precious moment when two people start their life together. 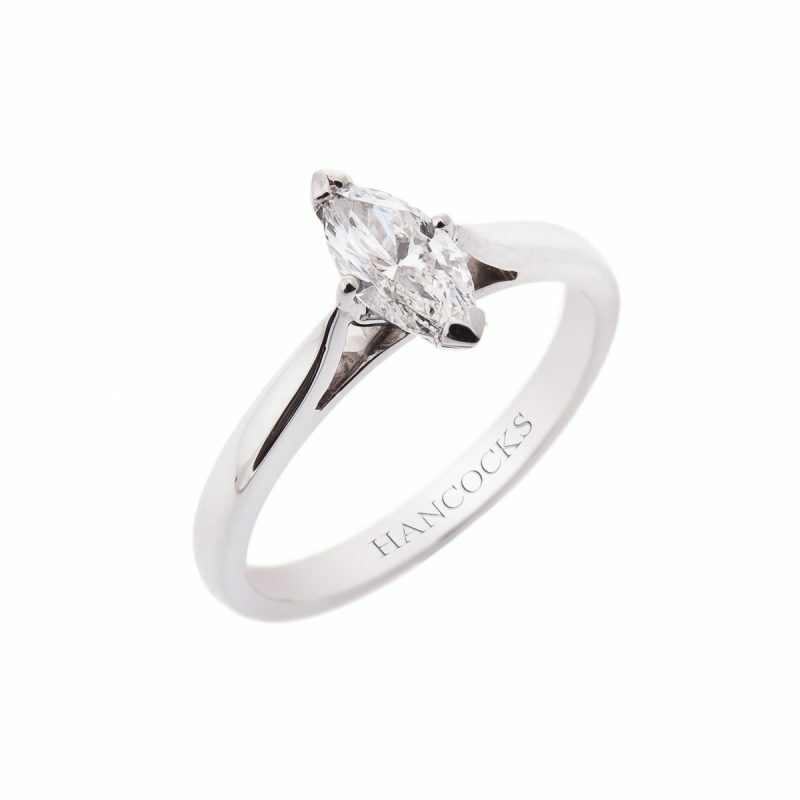 Such occasions deserve a very special ring.